I kinda dig how their hair and glasses are similar. This was taken at Chi-Cha Lounge the other night. I know I know it’s kinda awful & crowded in there…it was for a friend’s birthday – Happy BDay Pete! – and thankgawd we were in one of those tables in the back…. 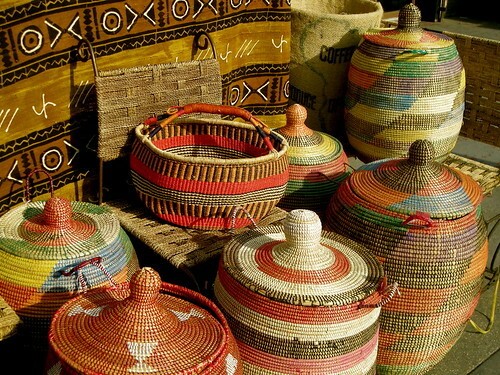 Every time I walk past Bazaar Atlas in Adams Morgan I stop to admire these colorful woven baskets. I love the bright colors and the textural patterns and especially how fantastic they look grouped together. I really want to find a use for them in my apartment. 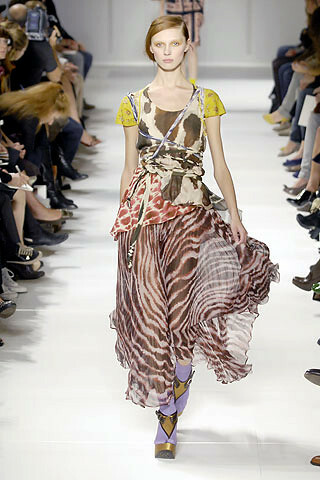 There were wearable iterations of colorfully fearless pattern mixing and exotic, hand-hewn looks on the Spring runways, from Missoni’s iconic knits & prints to 6267’s woven-looking top and Prada’s oddly wearable patterned skirt-and-top combo (omnipresent in the Spring fashion spreads of what seems like every magazine). 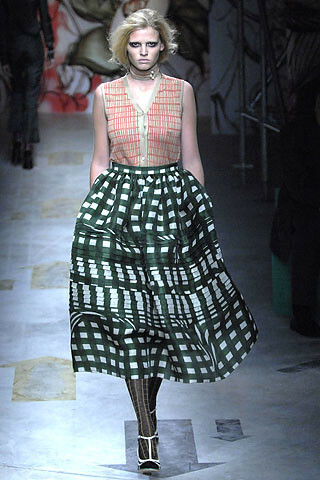 It all inspires me to think more about mixing colors and patterns in my wardrobe this Spring. Do Like Diddy Does: Dress for Success! Have plans for tomorrow evening? Check out the Girls Gone Glam event tomorrow evening at Hotel Palomar to benefit Dress for Success. In addition to items from vendors including Bailey, Lettie Gooch, Sangaree, Queen Bee Designs, On Lokation and Taylor Made Gems, there are complimentary hors d’ourves, cocktails, and goodie bags. Something new & cool for this year: a limited number (only 50 available) of P.Diddy-designed scarves will be sold tomorrow night, and they’re only only $30. 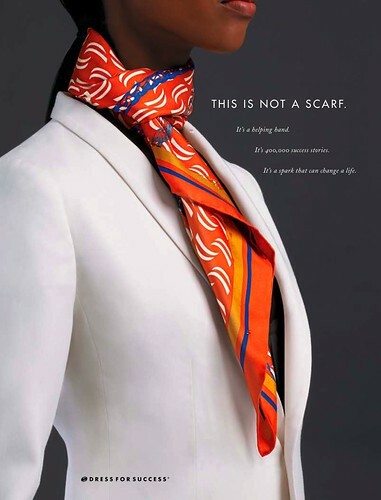 I’d get your hands on one of these bright nautical-inspired accessories and wear it like a loose tie, a la Pamela Sorensen the other night at Taste of the Nation (I ate myself so silly…). Tickets are $60 and are available by clicking here or calling (202) 544-3373 ext. 264. Recently I’ve been suffering from I-hate-everything-in-my-closet syndrome. This is due in no small part, I’m sure, to the fact that some of the things in there are holdovers from high school. So the other day I bit the bullet (and downed several glasses of sparkling wine) and did a major closet edit. I swear, I now only own one sweater. It’s a good idea to ask yourself tough questions about what you own while you sort (Am I kind of embarrassed that I own this? Do I really wear “clubbing” shirts anymore?). Another question: Did I wear this to prom? While many young Washington women hold on to dresses from both high school and college and pull them out for the occasional format event, they often end up looking like what they are: your senior year prom/sorority formal dress. Ladies, it’s time to let go. 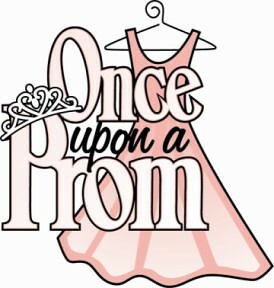 So tonight after work, go home, pluck that dress out of the closet, and put it in a bag to donate to Once Upon a Prom, a local nonprofit established to provide prom dresses to girls in DC, MD and VA who might otherwise be unable to afford one. When you bring the dress (must be from 2000 – present and in good, clean condition) TOMORROW between 5 – 8 to Georgetown’s Urban Chic location, you’ll receive 30% off a purchase (you need to give that hanger something to hold, right?). 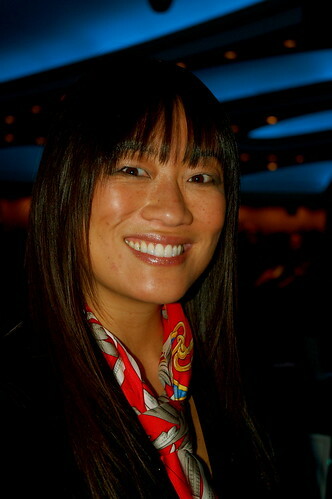 You’ll get to sample food from Restaurant K by Alison Swope and, best of all, make a local girl feel and look wonderful. If you can’t make it to the event, you can still drop off a dress between now and March 30 to receive a 20% discount.